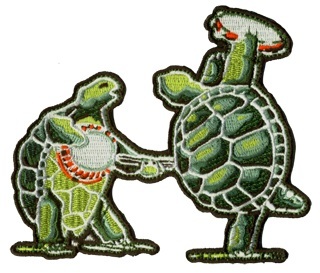 An embroidered Grateful Dead patch that has 2 dancing terrapin turtles. It measures approximately 4 1/2" x 4" and can be ironed on or sewn on your favorite clothes or bag. Officially licensed Grateful Dead merchandise.